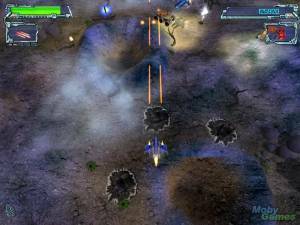 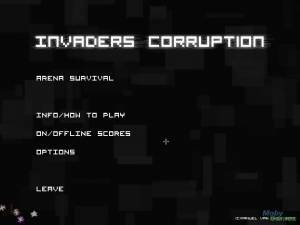 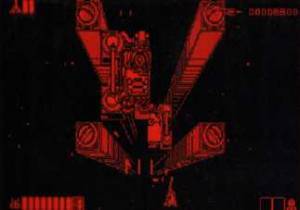 Override is a vertically-scrolling shooter in which the player controls a fighter craft on a mission to stop an alien invasion of the Earth. 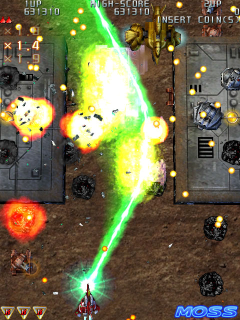 Much of the action takes place on planet surfaces, and enemies include spaceships of various kinds as well as ground enemies, mobile (tanks) or stationary (turrets). 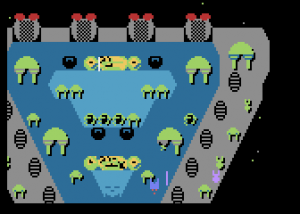 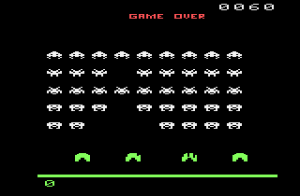 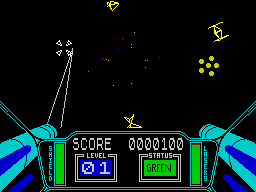 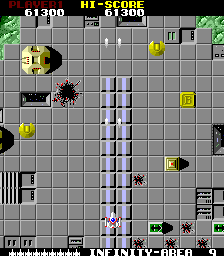 The player-controlled craft begins with two lives with three hit points each; restoring power-ups can repair the plane or increase its number of lives.